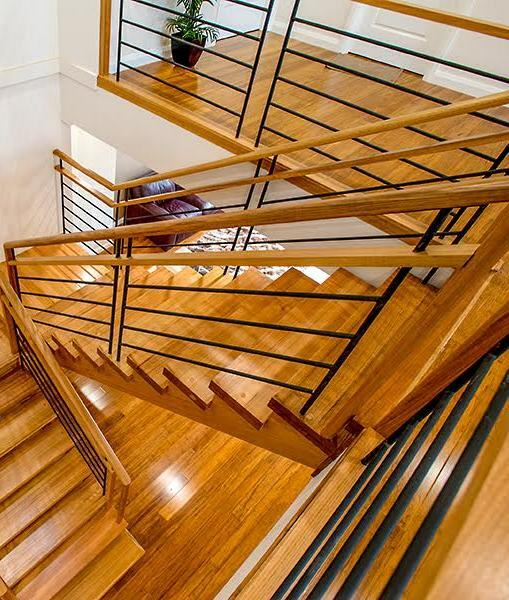 A contemporary designed stair project with stainless steel tube balustrade spanning from the lower flight up through the treads to form the upper flight balustrade. 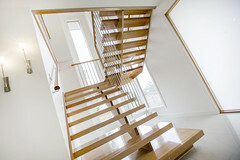 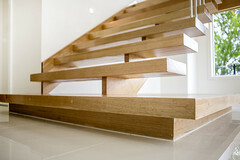 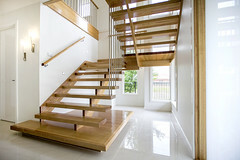 This detail compliments the design elements within this home and gives the staircase a sense of height. The clients of the Taylors Lakes home extended this simple staircase layout, taking advantage of Signature Stairs custom staircase making expertise to include a feature step under the main flight. In awell lit stairwell this open cantilever stair design with a closed string to the wall, achieves the desired results of allowing the light to penetrate through the front windows to the adjoining living areas. 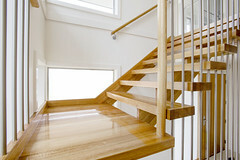 The timbers are all Vic Ash with a Clear finish. 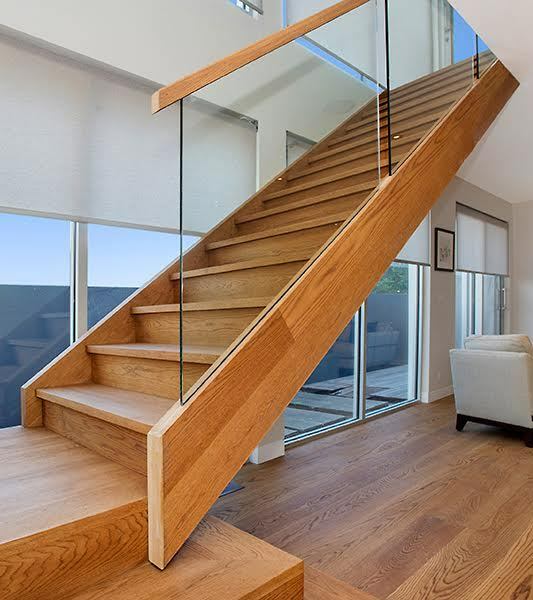 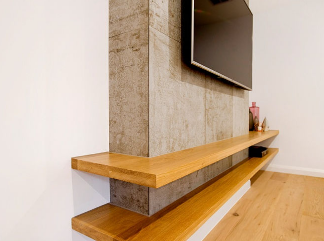 Specifications: Open stair; Closed wall strings; Cantilevered outer cut strings; Treads with 30mm nosing square projection The Material used are: Strings ex 50mm; Treads ex 70mm Victorian Ash. Specifications: 20mm Stainless steel Ex 75×50 Moulded oval timber handrail. 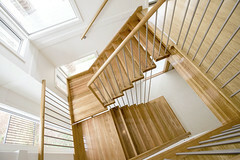 Ex 300x38mm timber fascia.